Wha-Ha-Ha's debut album is really a standout, even within the avant-garde genre. 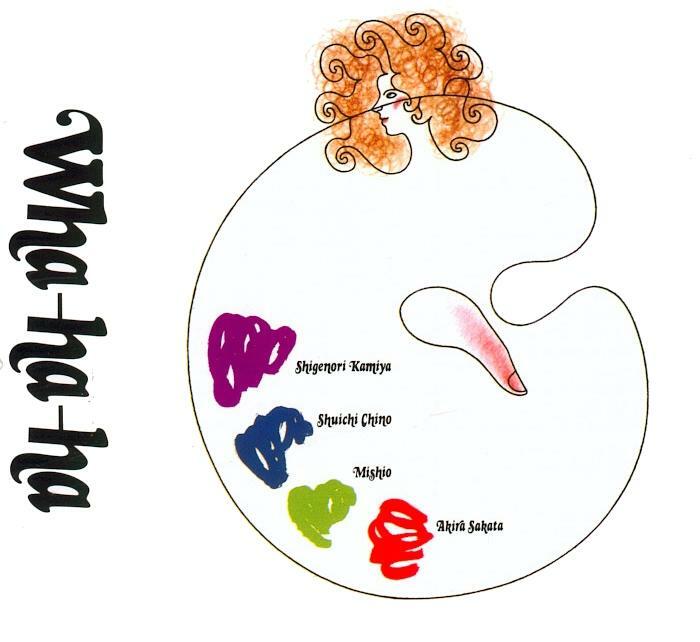 Wha-ha-ha was a fairly unknown and highly experimental band heading from Japan in the early 80's and released a few albums which sadly haven't got the attention they really deserve at all. Even avant-garde enthusiasts like myself didn't even heard of this band until they were added here in the archives, and Im really glad I discovered them considering their awesomely strange, wacky and plain weird music that really can make people wonder what really was the point with this? Well, I can answer with that albums like this weren't created to be understood, but to be confused of, but in a structured and well-made way. This is their debut album and I can safely say that this is some of the most absurd and less serious stuff I've heard in a while. It displays the dadaism of The Residents together with the wacky humor of Samla Mammas Manna in a surprisingly fresh-sounding and modern style, and the result is wonderfully meanlingless but very original and creative at the same time. It's not music that is easy to appreaciate during the first spins and is most easily digestable if you already like some of the more weird avant-prog stuff out there, but it will definitely grow on you. The music itself is incredibly diverse with several different influence sources and elements of Jazz, cartoon music and even New-Age are present but the music mostly remains as avant-garde though not really in the traditional way. As said, this is very unserious and cartoonish music (with a few surprising exceptions in "Kohmori" and "Tactics") and it rather deals with putting different ideas together in the silliest possible way instead of leaning more into classical and jazz soundscapes, and it works extremely well too. The musicianship fairly good with Shuichi Chino's keyboards being the biggest contribution to the album's silly sounds such as burbling synth parts and electronic influenced dada sounds, together with the saxophone which adds a delightful RIO flavor to the music in spots. The vocalist, Mishio Ogawa, also contributes well with some really silly vocals, but she can also be serious and sing really beautifully when needed, "Kohmori" being the best example on this. The production is excellent and you can hear all instruments clearly and they're accurately balanced as well, an extra plus for people who are a bit touchy in that area. A crazed 40-minute journey overall and some of the most creative but bizarre stuff I've heard in ages together with bands like Fantômas, The Residents and Myrbein. I think this an excellent album and it's very interesting and exciting throughout, yet I can't recommend this one to anyone but the most open minded people around, or for those who are just plain nuts themselves. So not a perfect 5, but it really deserves a 4.5! Highlights; "On The Floor", "My Happiness (is not yours)" and "Kohmori"!